One of the problems with river blindness is that it doesn&apos;t kill you. It&apos;s a nasty disease that causes agonizing itching, disfigured skin and, in the worst cases, blindness. River blindness is a parasitic infection transmitted by black flies that breed in rapidly flowing bodies of water. The worms burrow under your skin and eventually wiggle across your pupils, destroying your vision. But because the disease usually isn&apos;t fatal, health officials in cash-strapped tropical countries have slotted it lower on their to-do lists than malaria, TB, cholera, AIDS and other life-threatening diseases. Indeed, the World Health Organization categorizes river blindness, also known as onchocerciasis, as a "neglected tropical disease." But over the past three decades, much of the world has made steady progress against the debilitating condition. And much of the credit for that progress is linked to ministries of health introducing the drug ivermectin. Mass distributions of ivermectin tablets have sent onchocerciasis rates plummeting. The village of Beposo 2 in central Ghana is one of those places. Local chief Bondi Sanbark says his village used to be full of blind men being led around by young boys. But that started changing after Ghana changed its strategy in the battle against the disease in the late 1980s. Up to that point, Ghana had been using insecticides to try to kill the black flies that carry the river blindness parasite. The new strategy goes after the parasites inside people. The government treats entire villages, every year, with a drug called ivermectin that kills the offspring of the parasites, which cause the blindness and also can infect others. The mass ivermectin campaigns are now treating roughly 4 million Ghanaians a year, or more than 15 percent of the population. And the strategy is paying off. No one has gone blind in Beposo 2 for years, says Sanbark. Beposo 2 was founded around the time of Ghana&apos;s independence from Britain in 1957. The town is a half-hour&apos;s drive from the Pru River, where the black flies that carry the river blindness parasite swarm. Its founders wanted to get away from the river and from onchocerciasis. But they couldn&apos;t escape the reach of the flies. The situation was better here away from the river, but people got sick with what they refer to as "oncho." Since the introduction of ivermectin, onchocerciasis infections still occur in Beposo 2, but now they&apos;re much milder than in the past. The disease has been sharply curtailed in many parts of Africa and is on the verge of elimination from the Americas. But even ivermectin isn&apos;t perfect. Ivermectin doesn&apos;t actually kill the roundworm parasites that cause onchocerciasis. The drug is only able to kill the offspring of the parasites, the baby larvae. It&apos;s the spreading of hundreds of thousands of these immature worms through a person&apos;s body that causes the disease. Unfortunately, the parasite can live in a person&apos;s body for up to 15 years. So to suppress the spread of the parasites, entire villages have to be treated with ivermectin year after year in logistically complicated campaigns. The distribution campaigns require armies of volunteers. "This job is soooo difficult," says Albert Tamanja Bidim, the drug distribution volunteer in Beposo 2. Once a year he has to track down every resident of the village and give them the proper number of ivermectin tablets. He carries a long stick, a white bottle of pills and a handwritten ledger with all the villagers&apos; names in it. The markings on the stick indicate how many pills a person should get. Bidim holds it up next to a boy to determine what dosage to give him. Kids under 90 centimeters, roughly 3 feet tall, and pregnant women don&apos;t get any out of safety concerns. The dose varies from one to four tablets, washed down at once, for taller kids and adults. Bidim doesn&apos;t get paid for this work but takes the job very seriously. "If the person is not here, and I know how many tablets the person will take, I will keep it for him," Bidim says. "Sometimes, maybe if he has traveled or went to the farm, I&apos;ll keep the tablets until he gets back." This process of volunteers pounding on doors and passing out ivermectin happens all across Ghana in villages prone to river blindness. 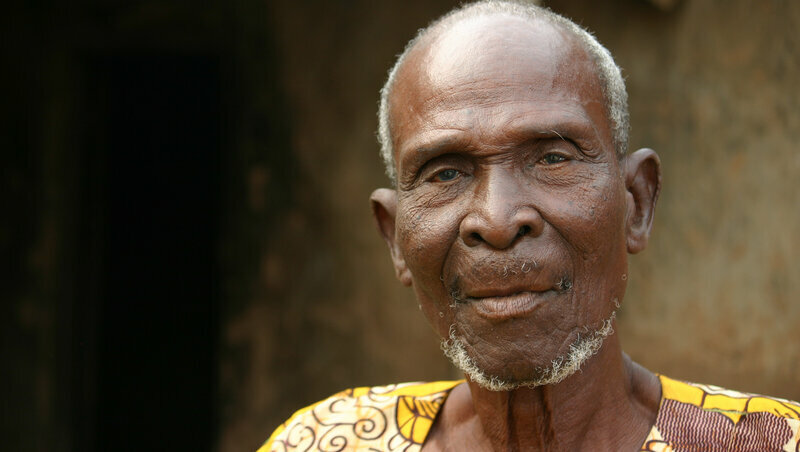 "We have about 5 million Ghanaians at risk of onchocerciasis," says Dr. Nana-Kwadwo Biritwum, who heads the neglected tropical disease program in the Ghana Ministry of Health. He says the annual distribution campaigns are a major undertaking. "We go in with millions of tablets, every year, to treat every community." 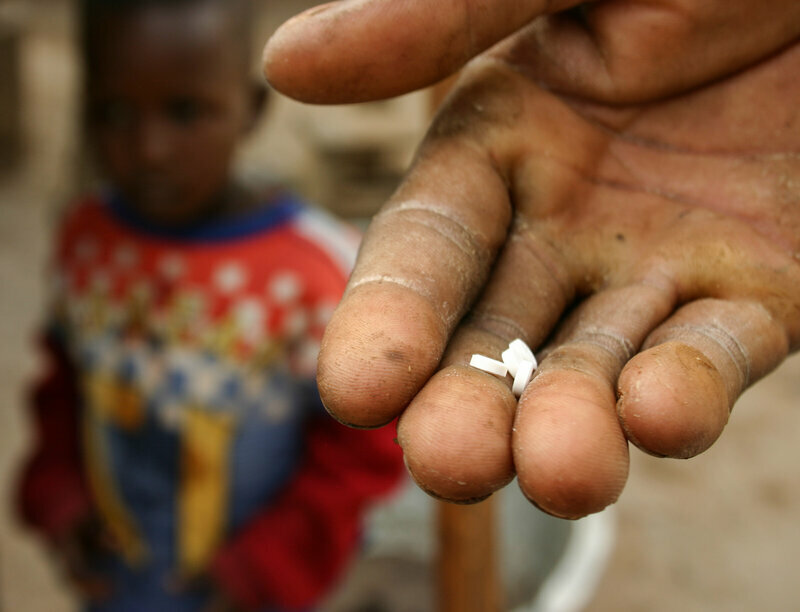 Many of the villages hardest hit by river blindness are in remote, inaccessible parts. "It takes a lot of work, a lot of resources," Biritwum says. Onchocerciasis is less neglected than some other neglected tropical diseases in that a major pharmaceutical company has made it its cause celebre. For decades, Merck has made an unlimited amount of ivermectin available for free under the brand name Mectizan. International aid groups including the World Bank,Sightsavers and the Carter Center have helped fund the distributions. Ghana is seeing the results. Some villages have gone from having 70 to 80 percent of adults testing positive for onchocerciasis 25 years ago to just 2 to 3 percent today. Ghana is now talking about trying to wipe out the disease by 2020. Biritwum at the ministry of health says before the arrival of ivermectin, that never would have been possible. Ivermectin&apos;s incredible impact on river blindness and other roundworm infections also caught the eye of the Nobel committee. The 2015 prize for medicine went to William Campbell of the U.S. and Satoshi Omura from Japan for discovering the drug (a third honoree did work on malaria). The Nobel committee said, "This year&apos;s Nobel Laureates have developed therapies that have revolutionized the treatment of some of the most devastating parasitic diseases." And the impact of their work can be clearly seen in villages like Beposo 2 in Ghana. 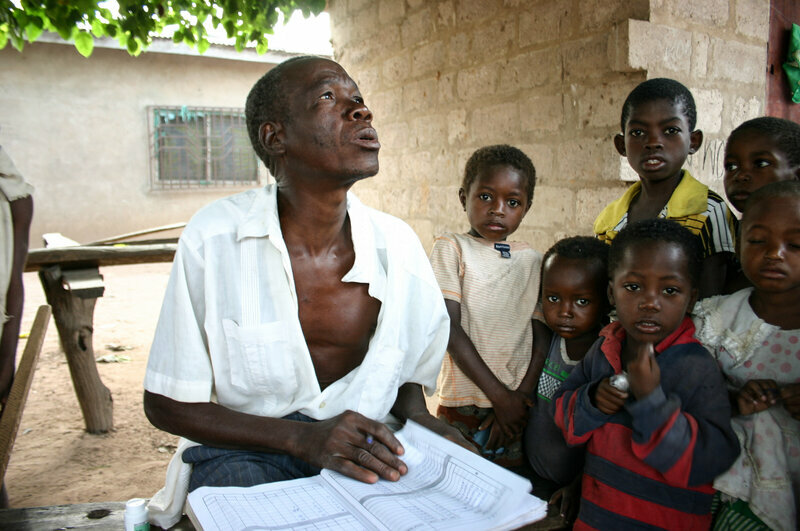 Want to know more about river blindness? Dr. Neeraj Mistry, the managing director of the Global Network for Neglected Tropical Diseases, will be taking your questions on Twitter on Friday, Jan. 22, from 11 a.m. to 12 p.m. ET. Leave your questions in a comment below, or tweet them to @NPRGoatsandSoda with the hashtag #RiverBlindness.